Taking vapes to a new level are the Haze Square and the Haze Square Pro, vaporizers that offer four unique chambers instead of only one. Switching between them is simple, too, and while the idea might just seem like a useless gimmick, it is actually something that might be able to change the way you vape forever. - Price - The Haze Square vaporizer clocks in at an average of $169.99, while with the Haze Square Pro, you can expect to pay a little bit more, at around the price of $189.99. 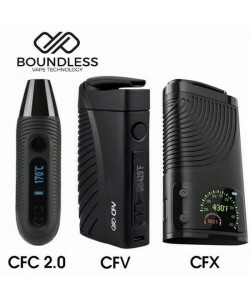 These prices are on the higher end of reasonable for convection vaporizers, but the addition of the four unique chambers adds value to it that makes these two Haze Square vape units worth every penny. - Vapor Quality - Each one of the four different chambers can be used for different things, meaning that you can put both herbs and oil into them and cycle between them. This is true for both styles of vapes. No matter which material you choose to input into the vape, the vapor quality is exceptional. This is due to the fact that these vapes run using convection heating. Since convection heating pushes hot air into the chamber instead of touching the material, there is no chance of burning and a greater chance of producing healthy clouds of vapor. The large chambers also allow more air to flow through to give you comfortable, smooth vapor that has little taste and no odor to speak of. - Guarantee - Both the Haze Square vaporizer and the Haze Square Pro come with a warranty that extends as long as 10 years to ensure that you are happy with your product for the long term. - Prep Time - It takes very little time to get these Haze Square vapes ready. If you want to vape herb, just load it in like normal. When you want to add some of your concentrates to the mix, you can pile it on to the concentrate pad that is given. Even putting in the concentrate pad doesn't take much time at all, allowing you to start vaping right away, especially because the Haze Square Pro only takes 10 seconds to reach a temperature of 320 degrees Fahrenheit. - Portability - The vapes measures around three inches in size which is not very large, but the square shape does make what you are doing a bit obvious. Still, they are technically still very portable, and with the four chambers that both of these Haze Square models boast means you won't run out while on the go. They also emit no odor. - Ease of Use - Both of the models are easy to use, but the Haze Square Pro goes one step further when it comes to usability and convenience. The Haze Square Pro allows you to customize your settings and temperatures using the mobile app that it comes with. - Heating and Temperature Regulators - The Haze Square models both use exceptional heating elements that afford you great cloud production and vapor quality. The Haze Square takes advantage of a titanium coil that sits inside of a ceramic heating element. On the other hand, the Haze Square Pro uses a patented ceramic heating element that preserves the crispness and clarity of the material while still delivering impeccable cloud production. - Power Supply - With the Haze Square Pro, you are running your vape on a powerful 2600mAH battery that is able to handle the demands that four large chambers place on it. It has a temperature range that falls between 335 and 410 degrees Fahrenheit, giving you plenty of control over the way you like to vape. You can choose which temperature you want to vape at with ease by changing it on your Haze Square mobile app. Both of these models also use a USB-C charging port that allows for the vape to be charged more quickly than some other USB chargers. You can go from a completely dead battery to a maxed-out battery in only 40 minutes. Easy to clean - Review by Edna J. It's really easy to use and to clean. I love the four chambers and the intuitive design. Money well Spent - Review by David T.
The Haze Square is really well built and I know it'll last me for years to come. Money well spent. A bit obvious - Review by John E.
The square shape is nice but it is kind of obvious, so I don’t take it with me out of the house. For at home use it is perfect, though. Love It - Review by Angeline J.
I love the ability to go back and forth between materials with ease. No LED - Review by Jennifer D.
There's no LED which makes it a little hard to navigate without the app, but otherwise the Haze Square Pro is excellent. Material never gets burned - Review by Kathy B. It charges up so quickly and stays charged for even longer. My material never gets burned or wasted, either. Smooth Hits - Review by Joe M.
I love how smoothly it hits. The clouds are nicely sized but do not smell at all. Price Point - Review by Roberta H.
The price is a bit high, but it is worth it with all of the chambers. Very Low Odor - Review by Chris R.
The flavor of this vape is second to none but the odor is low, something that is important to me. Efficient - Review by Barbara T.
The Haze Square Pro is one of the most efficient vapes I have ever used. I never have to bring other chambers or refills with me. Over all a really great vape - Review by Deborah D.
The Haze Square Vaporizer offers really great vapor production and is much more cloudy than any of the desktop vaporizers that I have tried before. I love the heat exchanger because it keeps the heat of the vapor at a comfortable level. This is true even on a high setting. Having the ability to change out the chamber is amazing especially because a lot of others are not able to do this. If you want a vaporizer that can go all day long without having to clean or maintain it until you are done for the night, the Haze Vaporizer is it. I like that the battery will last for an hour at a time no matter how much I seem to vape. The vapor quality is great, and I love the ability to use it with oils. Great temperature range - Review by John K.
The Haze Vaporizer is my very first vaporizer and I love it. I don't have to cough up a lung after smoking anymore. This unit comes with a bit of a learning curve but it has a great temperature range that I love to play with and that is easy to set. I think that the only concern I really have is that handling the screens. I usually end up using the tweezers that came with it in order to make it easier to do so I guess it is not really a big problem. Great unit - Review by Mary P.
I like the Haze Square Pro Vaporizer well enough. This is my second vaporizer I have ever owned and I love it more than the first one I owned. Amazing clouds - Review by Richard R.
I have used a few different vapes and I pick this one as my favorite because it has four chambers. I love the size and have been using it for a few months now with no issues. I get amazing clouds from it even at low temps. Favorite - Review by John M.
The Haze Square Vaporizer has always made me feel satisfied, no matter if I am using the dry herb or wax chambers. I have tried a few other types of vapes before settling on this one and it is by far my favorite. 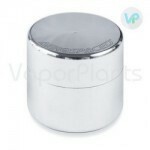 Well designed - Review by Susan J.
I think the Haze Vaporizer is really well designed and built. The packaging is even top notch. It is not as stealthy as it could be because of its size but that's okay; I primarily use it at home anyway. New favorite - Review by Ila Z.
I love the temperature range of the Haze Square Pro Vaporizer. It allows me to choose which temperature range is better for the different herbal blends that I have. This vape is my new favorite and I plan to use it every day. Vapor is cool - Review by Charles M.
I am really enjoying this vaporizer. I have an old school Pax but recently upgraded to this. I like that the session feels longer with the Haze than with the Pax. I love all of the neat things like tools that come with it. It's fun to set up and is easy to use. I think the vapor is cooler and more flavorful than the Pax as well. Really great - Review by Vicki N.
The Haze Square Vaporizer is really great with a medium grind and a medium temperature setting. I like to space my draws out between 10 and 15 seconds between each one. Versatility - Review by Walter B. The Haze Square Pro Vaporizer is definitely worth the price. I love the ease of use and the sheer versatility. Because it has such small chambers, it might take a little bit of getting used to, but it is totally worth the effort. The tweezers will really come in handy. I recommend it - Review by John H.
The Haze Vaporizer is a great first vape for me. I did a lot of research before getting this one and this is definitely the right one for me to pick. I am a total newbie when it comes to this but luckily the Haze Vaporizer is really easy to use. I recommend it to everyone interested. Durable - Review by Teri M.
The Haze Square Vaporizer is a very good vaporizer. It is durable, easy to use and efficient at medicating. Really efficient - Review by Deborah D.
The Haze Square is a really efficient and fantastic vape. I love it on all of the temp settings. A lot of vapor - Review by William B. So easy to use. I got a lot of vapor out of both concentrates and herb. I love filling the chambers. No problems - Review by Megan F.
Great battery - Review by Dabs R.
I love the battery life of the Haze Vaporizer. I can use it on and off pretty much all day without changing the battery. I have also noticed that I can vape it consistently for about an hour before the battery needs to be changed. I am loving Haze - Review by Weeds P.
I am loving the Haze Square Vaporizer. It arrived right on time and worked perfectly right out of the box. Worth every penny - Review by John J.
I absolutely love my Haze Vaporizer. It is worth every penny that I paid for it. Awesome - Review by Christine R.
We got this on a recommendation of a friend and I'm glad we did. I got it for medical reasons and it helps with medicating me efficiently. The Haze Square Vaporizer is so easy to use and is not a chore at all when I need to medicate. Easy to travel with - Review by James D.
The Haze Square Vaporizer is simple and effective. I love both of the chambers and how easy it is to travel with. This is the best portable vape on the market in my opinion. Wonderful vape - Review by Karen D.
I would recommend the Haze Vaporizer to anyone who wants a solid vape no matter what material they want to use. It is so versatile and compact, not to mention it is really easy to use. I love the two chambers and the four temperature settings as it gives me a lot of combinations between heating and materials. It is definitely a wonderful vape. Best vape ever - Review by Roland L.
The Haze Square Vaporizer is the best vape I have ever used. It is super discreet, easy to use and comfortable to hold. It produces flavor and clouds that are out of this world. Pretty Cool! - Review by Ashleigh J.
I have a Haze Square vape. I guess that makes me red carpet ready. Just kidding! I was a little shocked by the price of the Haze when I started looking into portable vaporizers, but I really liked that it was all in one. As far as I know, it's the only portable that isn't a vape pen that lets you vape everything. I really like mine. I think it works well in all three modes but I tend to use it most for waxes and e-juice. I get so many compliments on how it looks. The Haze Square Pro Vaporizer is expensive, but it's the best vaporizer for small parties. This vaporizer is awesome for sharing and it is really built well. You will get everything you want from your blends and more with this baby. Quad chambers are awesome!!! I spent a lot of time trying to decide which vaporizer to buy, and eventually went for the Square Pro version of Haze. Soon after I bought it, the faulty mouthpiece made it hard to draw. I emailed the company but didn't hear anything back, but finally I found out I had contacted the wrong place. When I did get a hold of VaporPlants customer support, they replaced sent a new mouthpiece. I was actually out of the country, so they sent it as soon as I got back. I was really impressed by that. The vapor quality is that good. I did try a Pax 2 for a little while just to see how it worked. The Haze Vaporizer is for sure easier to clean and it works better. I'll be sticking with it. This Haze Square Pro vape is phenomenal. The shape of it and the way it looks are so nice. Its quality, and the vapor it makes are like nothing I've seen before. I love how retro and artsy it is. While a couple other vapes work as good as this one, nothing looks or feels like it. It gets hot faster than other vapes. Cleaning it is so easy. Just make sure you watch some videos to learn how to use it right. It makes a big difference. I bought a Haze Vaporizer about a week ago. It's my first vaporizer and so far I'm loving it. There are no black spots or anything on my material and it doesn't matter how full I pack it. It works great. My friend has a Pax 1 and has to do something with the screen to vape a small amount but that's not necessary with the Haze Vape. As long as you pack it enough so that it doesn’t move around inside the oven, all the material will vape evenly. I normally fill mine about a third of the way, and it's all nice and brown at the end. This is what I do with mine. I do 5 to 10 draws low and slow until the vapor clouds get hard to see. Then, I bump up the heat, and do a few more draws, and keep going that way. I find I get everything out of my herbs this way. It's going to taste better the first draws, but it doesn't get harsh or gross at the end. I know this can happen with other vapes. I grind my stuff up super fine, but you can't let your herbs get dusty, or it will get caught in the air holes and make it hard to draw out. Love the way the Haze Square Vaporizer looks and feels. It's really nice, and it's smaller than a lot of vapes I've seen. Grinding is the worst part of using it. Once you get your stuff ready, it goes in easy and heats up and does its thing. I cleaned it the first time yesterday. It took me like 15 minutes to do it as the book says but I know I'll get faster. Yeah, this vaporizer is expensive, but I feel like it's worth it. I would buy it again for sure. Smooth vapors, totally unexpected from a portable vaporizer. I’ve used mine only with dry herbs and I’m loving it!